BOOK NAME: HAALIM NOVEL WRITER: NIMRA AHMAD The book Haalim Novel Pdf is an excellent story which is publishing in a monthly digest of Urdu. Nimra Ahmad is the writer of this story. It is continued for some months and contains an interesting plot. It influenced the readers from its start, and the readers wait for it at the beginning of every month. Nimra Ahmad is a top female story writer and novelist. She produced many super hit stories which put her in the line of the prominent writers. She has a unique but attractive writing style. Nimra Ahmad gives the touch of the history and Sufism to her stories. I hope you like to read the book Haalim Novel Pdf. Haalim Episode 19 is known also as Haalim Episode 18 Part 2 after Episode 18 Part 1 that is Choor Aur Jasoos The Crossover Episode. There is a lot more readers are waiting for. Haalim Episode 18 Part II is coming in continuation of Choor Aur Jasoos. Let’s wait and see what The Mechanic is coming up with in next part of Halim Episode 19. The most awaited part of Haalim was 18th which came after a long break. In Episode 18 part 1 we learned that Jehan Sikander is also a part of Haalim Novel. Whats next now? lets wait and see what is coming in Haalim Episode 18 part 2. السلام علیکم۔ ہر ماہ بے تابی سے حالم کا انتظار کرنے کے لیے میں آپ سب کی شکر گزار ہوں۔ جیسے جیسے اس ناول کا اختتام قریب آرہا ہے، اس کو لکھنا مزید چیلنجنگ بنتا جا رہا ہے۔ میرے لیے سب سے مشکل قسط چور اور جاسوس تھی بالخصوص اس کا دوسرا حصہ (میں نے اسے ابھی ختم نہیں کیا۔ کچھ صفحات باقی ہیں۔ ) اس قسط کا دوسر حصہ لکھنا بہت مشکل تھا کیونکہ میں اس قسط کے دوران رائٹرز بلاک کا شکار ہونے لگی ہوں۔ ایک بات میں یہاں کہنا چاہوں گی کہ ہم اپنے رائٹرز کو عموما پرفیکٹ سمجھتے ہیں مگر ایسا نہیں ہوتا۔ رائٹرز کے اوپر سب سے مشکل مرحلے رائٹرز بلاک کی صورت میں آتے ہیں جن میں رائٹر کچھ لکھ نہیں پاتا۔ نمل کی دفعہ شہد کی مکھی والی قسط سے پہلے میرے اوپر یہی فیز آیا تھا (چونکہ اقساط ڈائجسٹ میں ایڈوانس میں جمع کروا رکھی تھیں اس لیے ریڈرز کوپتہ نہیں چل سکا)اور اس دفعہ چور اور جاسوس سے پہلے۔ مجھے یہ تسلیم کرنے میں کوئی عار یا چھوٹا پن محسوس نہیں ہوتا کہ بطور رائٹر میں ایک شدید قسم کے رایٹرز بلاک سے گزر رہی ہوں۔ میں اس بات کو اس لیے نہیں چھپا رہی کیونکہ ہماری یہ کمزوریاں ہمیں “انسان” بناتی ہیں۔ اکثر لوگ جب ہم رایٹرز کی تعریف کرتے ہیں تو وہ یہی کہتے ہیں کہ آپ بہت اچھا لکھتی ہیں۔ کیسے؟ اور ایسے کلمات سن کے اندر سے آپ کو ڈر لگتا ہے کیونکہ آپ جانتے ہوتے ہیں کہ آپ اپنی مرضی سے نہیں لکھتے۔ اللہ تعالی آپ کو توفیق دیتا ہے تو آپ لکھتے ہو۔ اللہ تعالی کا حکم نہیں ہوتا تو آپ ایک لفظ بھی نہیں لکھ سکتے۔ بعض دفعہ کچھ عرصے کے لیے اللہ تعالی ہم رائٹرز سے ان کے قلم کو روک دیتا ہے اور ہمیں دنیا کے کسی مسئلے میں ڈال دیتا ہے اور ہم اس مسئلے سے گزر کے کچھ سیکھتے ہیں تو پھر ہمارا قلم رواں ہوجاتا ہے اور ہم نے پہلے جو لکھنا تھا ہم اس سے مختلف کچھ لکھتے ہیں۔ اس لحاظ سے رائٹرز بلاک بھی اللہ تعالی کی نعمت ہی ہے۔ آپ کو اپنی کمزوری اور کمی کوتاہی کا بھی احساس ہوتا ہے۔ بعض دفعہ آپ کو نظر بھی لگی ہوتی ہے۔ مگر جو بھی ہے آپ اس سے کچھ سیکھ کے ہی نکلتے ہو۔ ریڈرز کے لیے بھی یہ ایک سبق ہے کہ اپنے رائٹرز کو کاملیت کے درجے پہ گمان نہ کیا کریں بلکہ یہ جان لیں کہ اگر آپ کا رائٹر کچھ ایسا لکھ رہا ہے جو آپ کے دل پہ اثر کر رہا ہے تو اس میں رائٹر کا کمال نہیں ہے۔ اس کی محبت اور نیت اور خلوص یقینا ہے مگر کمال نہیں ہے۔ یہ آپ کا اللہ ہے جو رائٹر کے ذریعے آپ کو کچھ بتارہا ہے، سمجھا رہا ہے۔ اور جب اللہ آپ کے رائٹر کے قلم کوروک دے، تو اللہ کے سوا اسے کوئی بھی رواں نہیں کر سکتا۔ اس لیے میں ایسے موقعوں پہ صبر اور تحمل سے اس وقت کا انتظار کرتی ہوں جب میں دوبارہ سے لکھ سکوں کیونکہ بلاک سے نکل کے آپ ہمیشہ پہلے سے بہتر لکھتے ہیں۔ اور آپ کو بطور ریڈر چاہیے کہ اپنے رائٹرز … سب رائٹرز… کو دعا میں یاد رکھا کریں۔ آج جمعہ ہے اور آج دعاؤں کی قبولیت کا دن ہے تو میں چاہوں گی کہ آپ میرے لیے بھی دعا کریں کہ اللہ تعالی مجھے اس بلاک سے نکالے اور میں پھر سے لکھ سکوں۔ پہلے جیسا نہیں۔ اس سے بہتر اور پر اثر۔ انشاءاللہ آمین۔ نمرہ احمد Haalim Episode 19 Haalim Episode 19 or Haalim Episode 18 Part II is going to solve the mystery. We are however sure that this part is going to be a mind blowing piece of the story. However, Yes with the two main characters together there is something drastic going to happen. Why? Because in the last part there was most of the INTRODUCTION.. Lets dream Haalimians 🙂 Glimplse of Haalim Episode 18 Part II We shall of-course not forget Dreamers who writes on caretofun for Haalim. Here is a beautiful glimpse of part II from a Dreamer Nani Bi. Jannat Kay Pattay Novel by Nimra Ahmed PDF Download: Jannat Kay Pattay novel is a lifetime of LLB (Hons) pupil Haya Suleman chose an intriguing turn when she obtained a scholarship to examine a five-month session in a college in Turkey, however, the situation became tomb when somebody leaked a personal video of her left in a celebration online. To maintain away the video from the opinion of the people of the traditional family and also to prevent some complications, she needed to get in touch with an officer of the Cyber Crime Mobile that would have had her movie eliminated. But soon she had been unsettled by the simple fact that this officer knew a lot about her.a novel by nimra ahmed. Can Haya be in a position to receive that movie removed on the world wide web? Will never be in a position to visit Turkey? And more to the point, will finally have the ability to meet “him”he that she’s never met before but was looking for for several decades? In the streets of Istanbul into the Bosporus sea, in the sea of Cappadocia into the torture cells from Indian jails, Jannat Kay Pattay novel (English: Leaves of Heaven) is similar to a roller coaster ride where many of your suspects will be proved incorrect and this cryptic tale will continue to keep its keys safe until the previous sentence. Since keeping keys is still an art and not everybody understands it! jannat kay pattay novels is a best selling novel in pakistan. Is Dil Me Base Ho Tum by Anum Khan is Romantic Urdu Novel published online for Reading and PDF Download at Fundayforum. Is Dil Me Base Ho Tum Urdu Novel is based on story of 4 close friends who met again after 8 years and catch up with each other about these 8 years. They learn all the good and bitter things about their lives. They also give support to each other to resolve issues and problems. Is Dil Me Base Ho Tum is also story of Mustabashra Jamal & Ali Ayan Khan and Mahrosh Saeed & Murad Mansoor. We hope Fundayforum Readers will like this beautiful Urdu Romantic Novel and give their feedback. Read online and free Urdu novel download Dard_Gar by Umme Maryam. 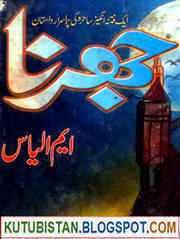 Free Urdu books online of Umme Maryam. in PDF format. The largest Urdu Books Download Link Collection. Read Online Or Download social novels for free. Free Download Social novels collection in PDF by Umme Maryam. For read only click at support topic button. Please share , Like and give views below. Reham Khan, the former wife of Imran Khan is ready to reveal it all in her upcoming book, which is scheduled to drop next week in London. The book is considered to be an autobiography and explains in length the incidents surrounding her short marriage with Imran Khan. The TV anchor and ex-wife of Imran Khan, the president of Pakistan Tehrik-e-Insaaf (PTI) announced the release of her autobiography a few months back but what gained it immense media coverage is the leaked manuscript last month. The revelations made in the manuscript took the nation by storm and is expected to create a political turmoil in the country, upon the official release of the full book. In the leaked manuscript, Reham Khan made several allegations towards Imran Khan and uncovered the alleged corruption and harassment incidents. In a recent interview, she mentioned the inclusion of a certain BlackBerry, which can serve as a concrete proof of Imran Khan’s misconduct towards female in the party. She accused Imran Khan of sending inappropriate text messages to female party leaders. Also see: Top 10 Most Popular Political Party In Pakistan General Election 2018 PTI’s reception of this news has been anything but welcoming. The political party rejected all the allegations and defended their leader. Moreover, PTI accused her of teaming up with PML-N, Imran Khan’s biggest rival, and other parties in order to defame the potential leader of this country. Imran Khan’s supporters also came into the scene to defend him and called the whole affair an agenda against Pakistan Tehrik-e-Insaaf and Imran Khan. Actor Hamza Ali Abbasi, who has been known as a PTI activist tweeted about the matter as well, declaring that the hidden agenda behind her book is to hurt Imran Khan, especially considering the time of its publication, which is set a mere few weeks before the country’s next major Elections 2018.